Rain is coming – even if it doesn’t feel like it yet – and we want to make sure that your floors receive the best rainy day floor care! 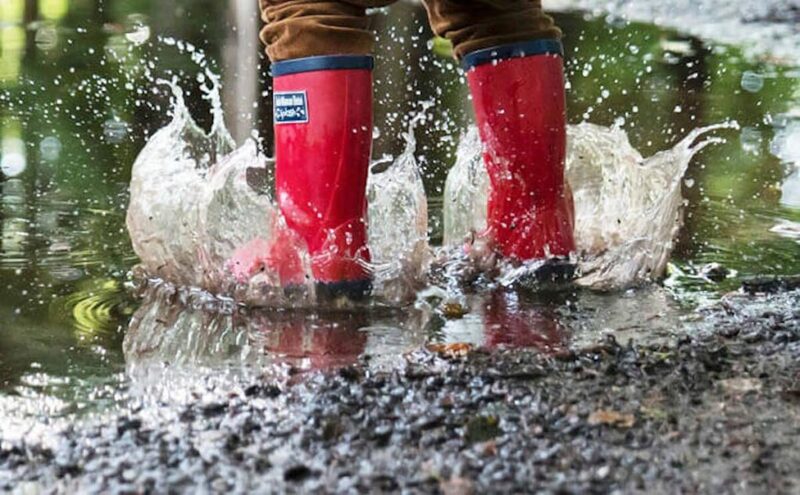 We know that when it rains, it’s hard to keep all that water outside. To help you combat this, we’ve put together our recommendations for how to keep your floors dry during the rainy season. 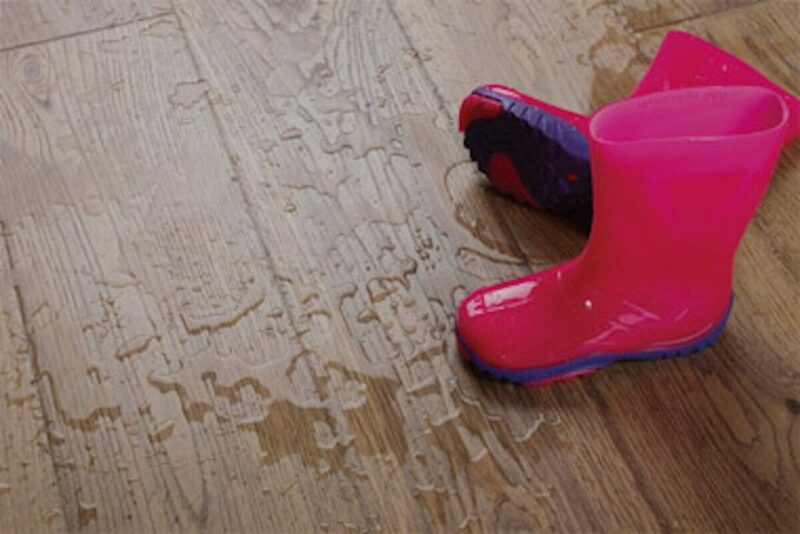 Whether you have more sensitive flooring – such as hardwood or carpet – or more water-ready flooring – such as tile, vinyl, laminate – check out these rainy day floor care tips. Use mats and rugs: Using mats outside and rugs inside, you can protect those sensitive floors from wet or muddy feet, paws, and all the things. We recommend using a heavy-duty mat with thick bristles for outside main entryways and inexpensive throw rugs for heavily-trafficked doorways and entrances. Bonus: the rugs can easily be washed to keep them looking nice. Keep towels by your entryways: Whether it’s wet feet or paws, keeping a stack of old towels by your front and back doors provide a quick and convenient way to ensure no water is tracked across your floors on particularly messy days. Cover porches and patios: By installing an awning or some other covering over your porches and patios, anyone entering the home can wipe off, or take their shoes off outside before coming in. Install gutters near doorways: Installing a gutter near your entryway doors will help divert water properly to ensure entrants aren’t forced to walk through pools and puddles to get inside. Make sure they’re routinely cleaned to remove any debris or other obstructions. Limit entryways: By limiting the entrances you use on particularly rainy days, you’ll have an easier time mitigating the amount of water that could potentially be tracked into your home. Try coming in through the garage to give yourself a mini-mudroom to get dry in. If you want to take your rainy day floor care to the next level, there are many types of flooring we’d recommend using in highly trafficked areas (and potentially rainy day splash zones). Tile: If you’re looking for an elegant cobblestone texture or even a faux-wood finish, plus a flooring that can easily be mopped up, then you’ll love tile! This flooring is ready to weather even the wettest of storms. Our porcelain and ceramic tiles come in an array of colors and patterns. Laminate: This budget-friendly alternative to hardwood or tile offers the look and feel of hardwood, but won’t scratch, is stain resistant and is super easy to clean! Vinyl: This flooring comes in many different types (hardwood, tile, and stone) as well as a range of colors, textures and sizes! Plus, it’s super durable, making it perfect for those highly trafficked areas of your home. If you’re ready to make the switch to a more waterproof flooring option, our team can help! Contact us today and we’ll help you find the perfect floor to match your rainy day floor care methods.